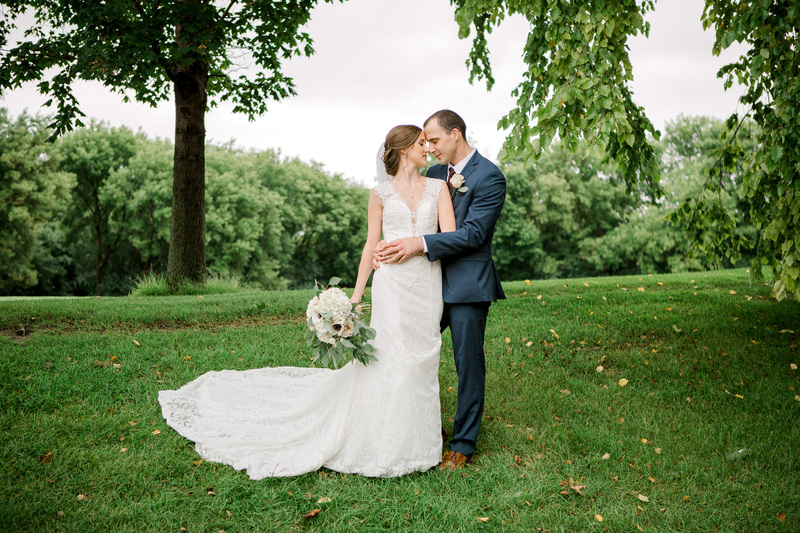 Sherry and Josh’s Wisconsin wedding at Govin's Weddin' Barn was as lovely, as intimate, and as playful as the couple themselves! The couple, currently living in California, met at Starbucks. Sherry went there to interview for a job and Josh was the cute barista behind the bar. As the story goes, Josh immediately noticed Sherry and went up to his boss after her interview and said, “You have to hire her!” Goes to show that coffee really does bring people together. After a successful first date at Disneyland, Sherry and Josh decided to date for real and they’ve never looked back, having too much fun exploring life and adventuring along the California coast together. In February 2017, Josh planned an elaborate proposal that took them to the Santa Barbara Zoo, the beach (where he did the actual proposal), and their friend’s house for wine and looking at the sunset. Sherry was absolutely thrilled and said yes! Sherry and Josh are some of the most joyful people I’ve met and I instantly felt a connection with them when we met for their engagement photos. They play together; they show their affection with hugs, kisses, and hand squeezes; they love working out together. They are, simply put, a fantastic couple. On the day of their wedding, I drove out to Menomonie in the pouring rain, silently saying a prayer for the rain to stop and audibly giggling at how much rain was coming down. Thankfully, my prayers were answered and the rained stopped the three times we planned to take photos outside. Can I get an Amen?! My wish for Sherry and Josh, as they begin life as husband and wife, is to laugh with each other every day. May you continue exploring life with a smile on your face and a song in your hearts. I can’t wait to see where this crazy journey of life takes you!